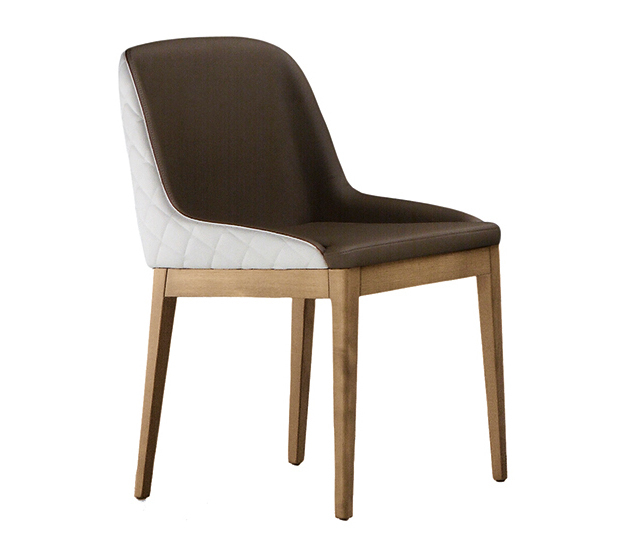 Chair with four leg frame in wood finish dark oak, light oak, walnut or white laquered. Seat upholstered in leather, ecoleather, fabric or custom’s fabric. 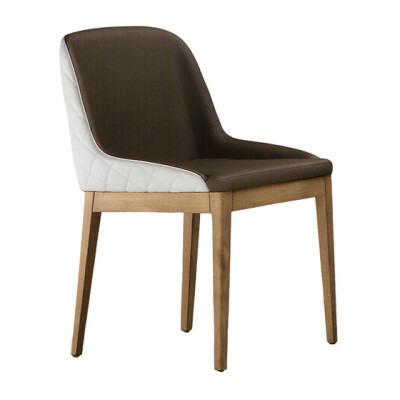 The shell is available in plain colour, contrasted colours or with upholstery backrest in quilted ecoleather.